One of the best well maintained 3 star rating hotel in Puerto Princesa City is now 19 years old, it remains as elegant and classy type accommodation Palawan can offer. 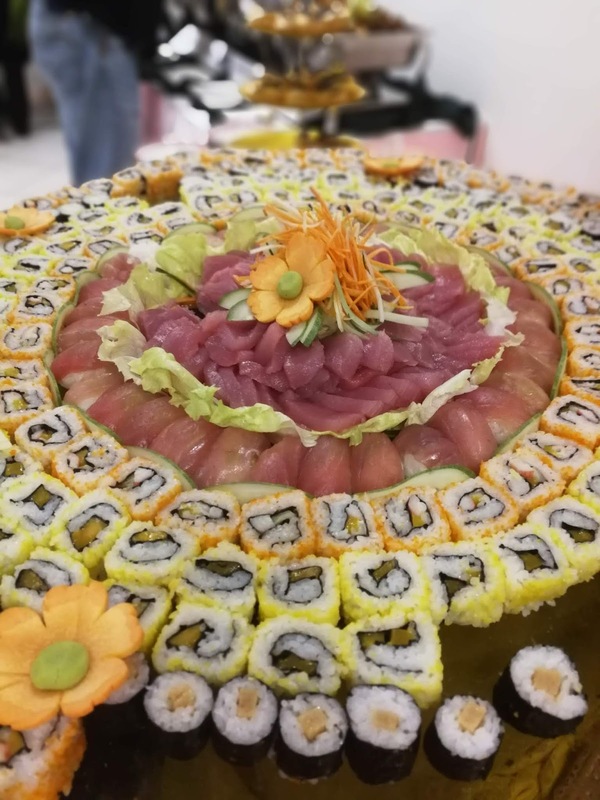 As they turn 19 year old last Sept 15, a sumptuous treat of Japanese buffet is offer to their regular guests and patrons, with a bonus of eco-fashion show and a cook fest mise en place for aspiring culinary enthusiasts. 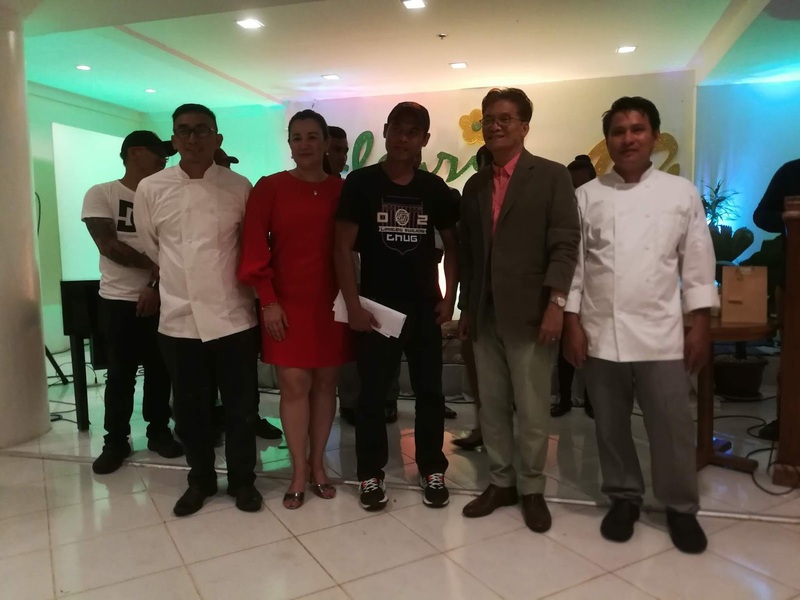 Chef Calimutan during the awarding ceremony with Lui Oliva. 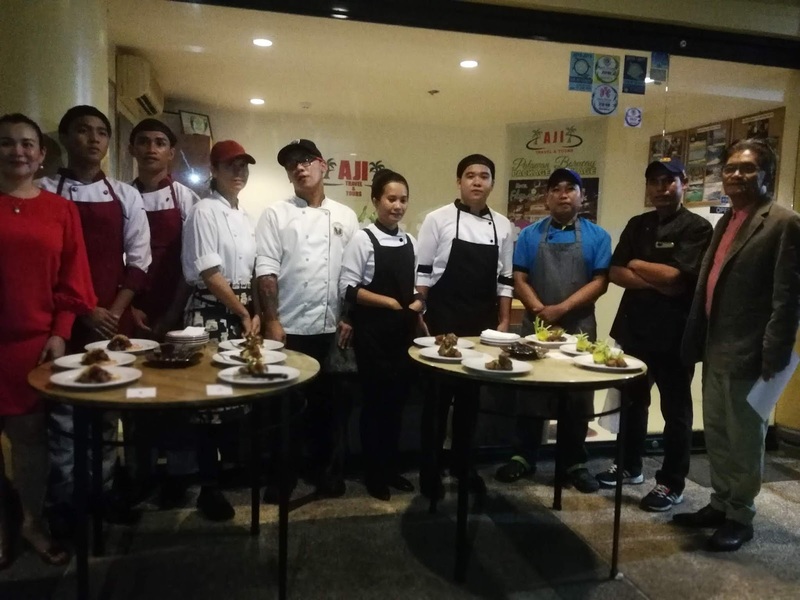 Local culinary celebrity Lui Oliva of the fame Kalui Resto headed the jury of judges for the cook fest, wherein a surprise adobo cooking challenge is set among its four group of participants mostly from different restos and academe sector. The four participating group for the Cookfest with Lui Oliva. 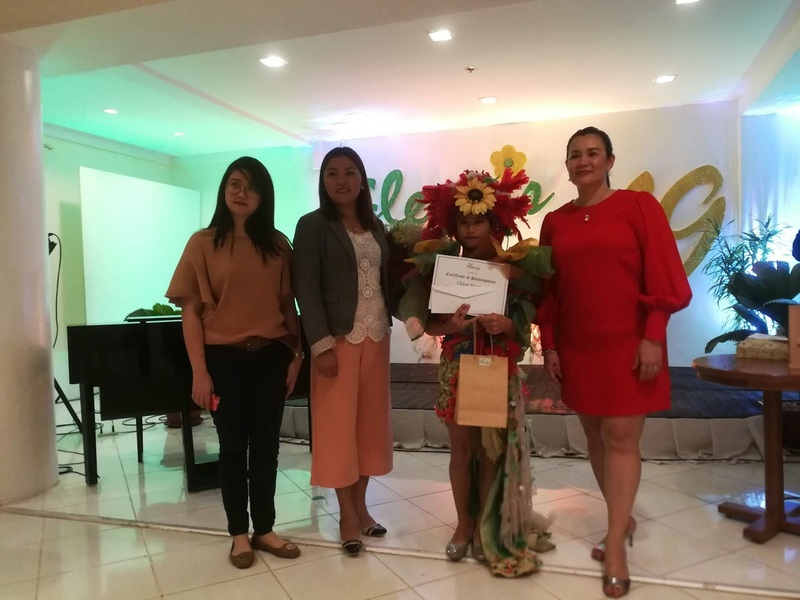 Sarah Monzon-Po, the Director of Operations of Hotel Fleuris opens the program on that stormy night, she assure everyone that they will continue the legacy of Hotel Fleuris in providing the best services in the local tourism sector. Best In Eco Costume Chloe Nagar. Chloe Nagar receiving her first prize award. 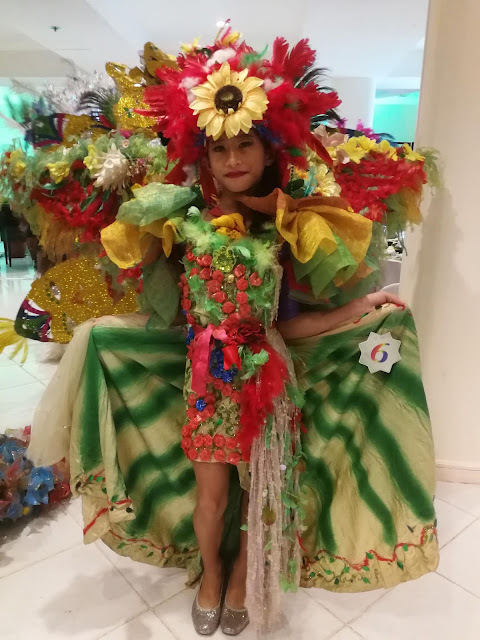 While the cook fest is on going at the We Be Sushi resto, the guest of the meaningful 19 year celebration, a showdown of creative mind is happening at the function hall for its Eco Fashion Show with 7 models doing the rounds of promoting ecological and environment friendly attire, mostly made of indigenous and recyclable materials. The most colorful and innovative costume winner goes to Chloe Nagar. 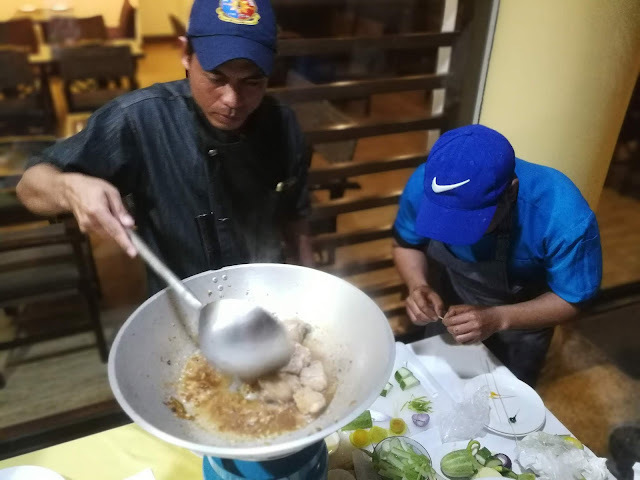 Chef Calimutan and Senil while cooking their best adobo. 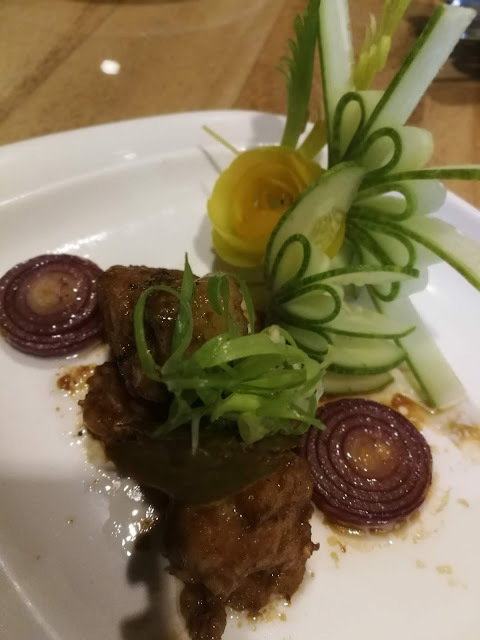 The adobo cooking contest is quite a challenge, Oliva describe it as most fun since majority of the participants are using same ingredients, the winner in presentation with outstanding taste goes to Group #4 that is composed of Levy Calimutan and Joshua Senil of Sislag Resto from El Nido. 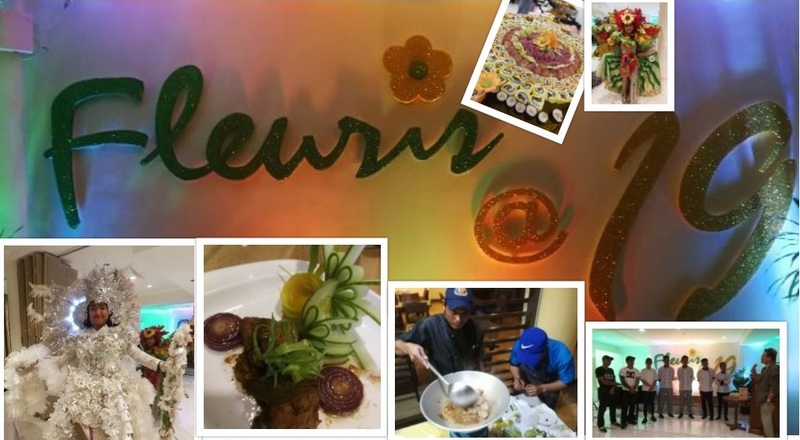 Fleuris resident entertainment pianist Ricky Guinto serenade the guest while we enjoy the wide array of Japanese food at the buffet table. Balag at Angud: of Passion and Activism.